Here are some nuggets I wanted to share with you from time with God and experiences. 1. Be ready in season and out of season…to share the Gospel and do the work of ministry. It’s easy to sit idle; there is nothing wrong with rest. It’s prudent for us to be continually aware that as Ambassadors for Jesus, we can be called on at any moment to do the work of ministry. This weekend I was prepared to share worship music with a few kids. Once I got to my destination, they had me lined up to do worship at church on Sunday. If I had not been playing and worshipping in my free time, I would not have been prepared for Sunday. At any moment we can be called upon to teach, preach, exhort, rebuke, share the Gospel, pray, or minister to other people. Are we ready? Are we cultivating intimacy with God so we have something to share? 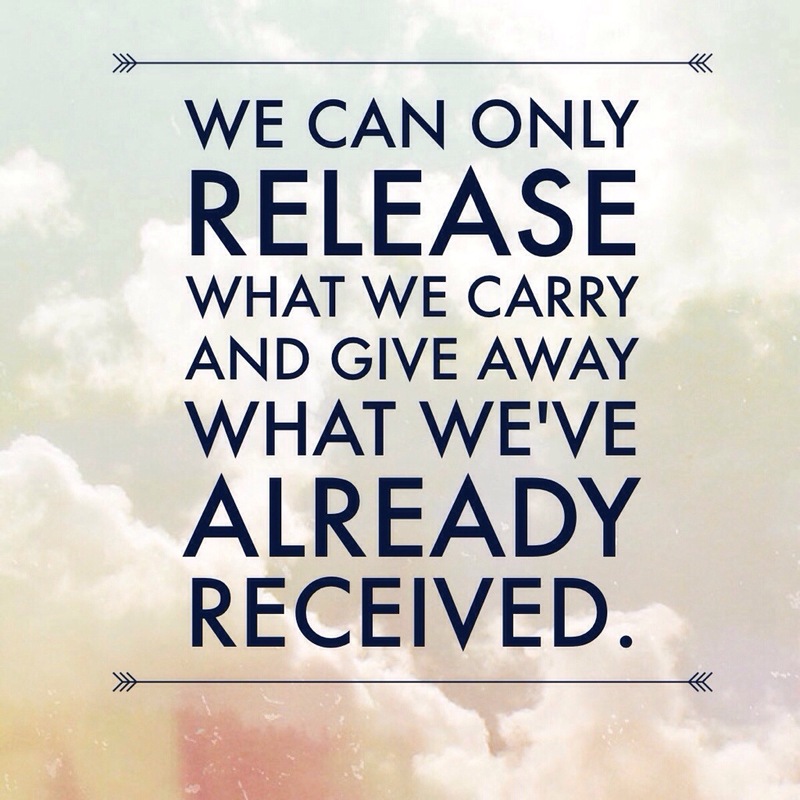 We can only release what we carry and give away what we already possess. 2. We are stewards not owners…. Everything we have; money, time, talent, resources, gifts, our bodies, relationships, it all belongs to God. We are not our own but were purchased with Christ’s blood (1 Corinthians 6:19-20). Therefore, we don’t own, we steward what is given. The parable of the talents teaches us that God cares what we do with what we are given (Matthew 25:14-30). The more faithful we are over what is given, the more is given to us. So, when people complain…God is using this person more than me or they have more opportunities than me…the key is to look at what the person did with the little that they had. Did they use it for selfish means, or did they invest it for the benefit of others? Did they take care of what and who was entrusted to them or did they abuse, neglect, or misuse what was given? We cannot ask God to lead nations if we are unwilling to serve where we are and who is right in front of us. If we will not care for what we already have, how can God entrust us with more? This is my own conviction…how am I ministering to my coworkers, neighbors, family, people who interact with me on a daily basis. Am I pointing them to Jesus? Am I using the things God has already given for His glory? Those who sow sparingly, reap sparingly. Those who are stingy normally do not prosper. God calls selfishness sin and does not reward selfishness. In the realm of God’s Kingdom, those who give or sow into things other than themselves reap a bountiful harvest. The key to abundance is giving,~Bill and Beni Johnson. The world says the key is hoarding and self-focus. It is the opposite in God’s Kingdom. It may seem if you are sowing or investing, that you have less than others. The truth is, the longer the sowing season, the greater the harvest. When God speaks of blessing, He speaks to the end of a thing. Some people will live lavish lives on earth and have fewer or little rewards in heaven. Yes, there will be rewards given in heaven and we will co-reign with Christ (James 1:12, Matthew 5:12, Matthew 25:21, Revelation 2:10, Revelation 22:12, 2 Corinthians 5:10, 1 Corinthians 3:12-14, Matthew 6:6)…and there are so many more Bible verses about rewards in heaven. What we do here does matter. Our earthly life also prepares us for our heavenly assignment. God blesses us not just for our benefit, but for the benefit of every person around us. Every person has been given something from God to help other people. The Holy Spirit in us has the ability to minister, encourage, help, bless, and love others. No believer is without something to offer. The question is; will we let God live and love through us…even if it costs us greatly? Our blessings cost Jesus His life. Some people are waiting on breakthrough, for their dreams to come true, and they are unwilling to sow/invest into anyone else. Joyce Meyer said this once and it stuck with me, “If you want something, start sowing it.” The point isn’t to give expecting something in return. The point is that God is faithful to His word and it’s good to take the focus off ourselves and help other people. The call of every believer is to help other people and to love them. It’s not something Jesus offered as an option, it would be nice if you did this (Matthew 25:31-46). If you want your dreams to come true, start helping others with their dreams. Don’t neglect what you need to do, but help other people. Sow and invest in others. If you want good friends, be a good friend. If you want help, be willing to help others. If you want to be treated well, treat others well. If you want to be blessed, bless others. It’s not about getting, yet if you don’t sow it…you are going to reap what you sow; those who invest nothing, reap nothing. And we always reap more than we sow. A seed produces a seemingly endless harvest. 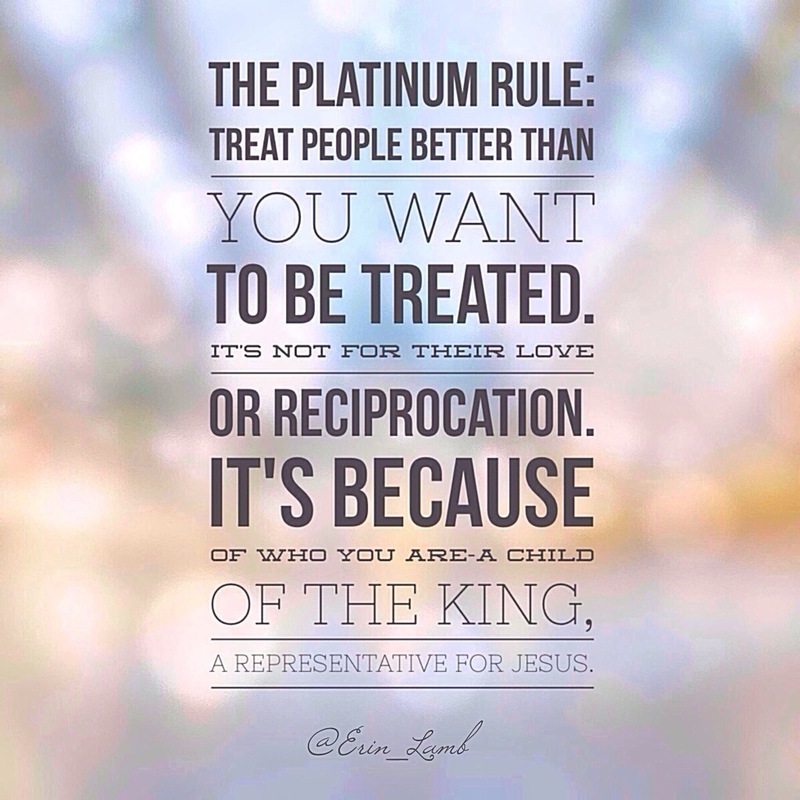 Jesus told us to treat others well, even our enemies. It doesn’t mean we run out and start doing everything for everyone. It does mean we seek to do no harm and look for ways to bless others-being led by His Spirit. If you’re a sower and your harvest hasn’t come yet, no worries. It will come and it will be more than you sowed. And it’s crucial to know it may never come back from the person or place you sowed into. You may not even see it this side of heaven, yet our God is faithful to His word. If you haven’t sowed or invested in anyone else, I encourage you to start giving, discipling others, and investing in the spiritual growth of others…not out of obligation or to get, but to represent Jesus. He’s done so much for us, how can we refuse being good to other people? It’s for His Glory. We show the world the character of God. As we reap a harvest of blessings, we can turn that over and bless more people for His glory. May we live in such a way that people say, “When our paths crossed, I encountered Jesus and I was blessed.” He’s amazing. Let’s keep our eyes on Him and let Him live through us…for His Glory and the blessing of others. You are continually in my prayers…and I am not just saying that. When I pray, you’re covered. Also Jesus lives to intercede for us…so you are always covered in prayer. Have a blessed and wonderful week. Be a blessing to others…show the world how awesome our Papa is! He overflows with love and generosity. May we let Him live through us so others are richly blessed. Thank you so much for all the words of wisdom that can only come from god. Bless you! Thanks for stopping by. Praying you are blessed beyond measure this week. I am on Twitter and Instagram. Both accounts are @Erin_Lamb.